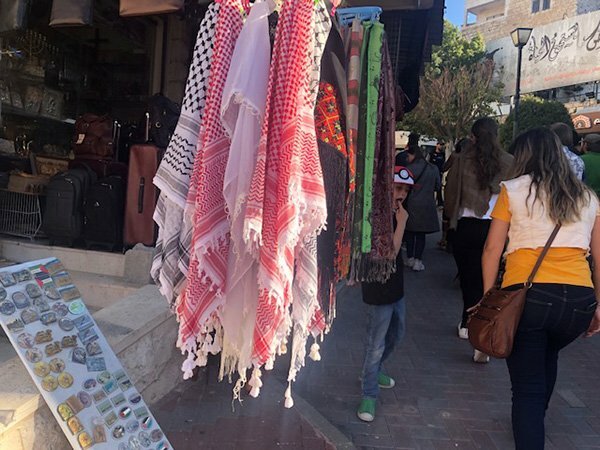 If you are looking for the best Bethlehem souvenirs to buy when you visit the West Bank of Palestine, you are in the right place. Most people who travel have a small momento or keepsake that they look for when the travel, perhaps a post card, local jewelry or a fridge magnet. I used to send home postcards, until one from Jordan took 9 months to arrive, but at least it showed up right? I now buy a small flag from each country I visit, as well as something unique to the region! 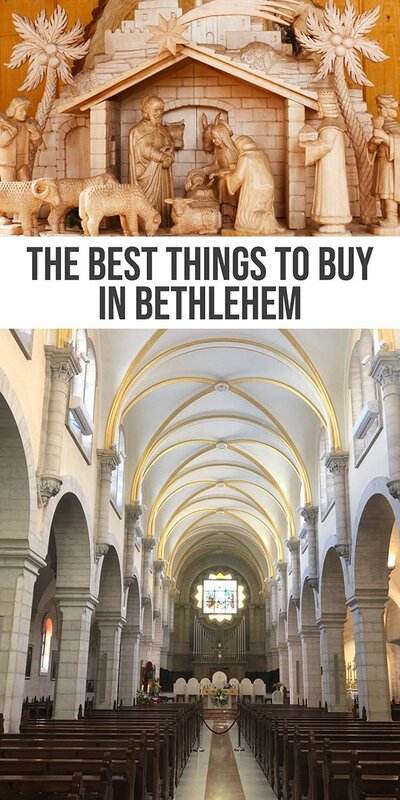 Bethlehem has something for everyone and if you want to know what to buy in Bethlehem, keep reading! One of the most popular things to buy in Bethlehem to take home as a souvenir is an olive wood carving. Made by local craftsman, these intricate carvings are made from the trimmings of the olive trees, something that is so important to the people of Palestine. Olive Trees are something that you plant for the future, and it would be a shame to destroy them to make art. But rest assured that they need annual pruning to keep the health of the plant, as well as to produce better crops. Instead of lying to rot, these olive wood branches are dried and carved into popular Bethlehem souvenirs. Pottery has been made in Palestine for centuries. 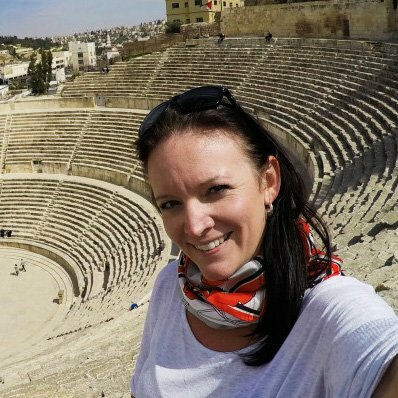 Known for high quality craftmanship, you can find beautiful pieces in Bethlehem, whether a typical Christian theme or an ornate mosaic. 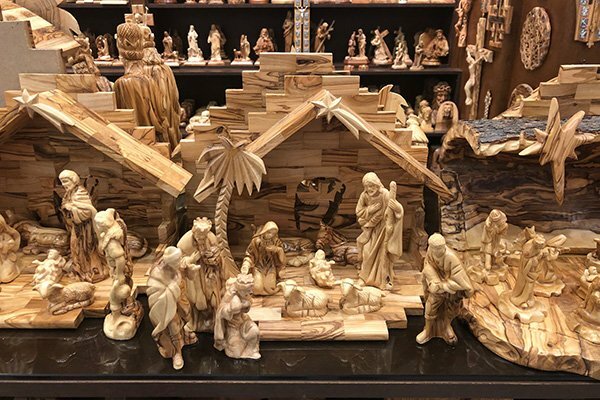 These pieces make great souvenirs from Bethlehem. You will not find a Starbucks, but you will find a Stars and Bucks in Palestine. If you are a lover of coffee, grab yourself a coffee cup as a momento of your visit to the West Bank. It looks strikingly familiar to the US based coffee giant, and offers a similar atmosphere. 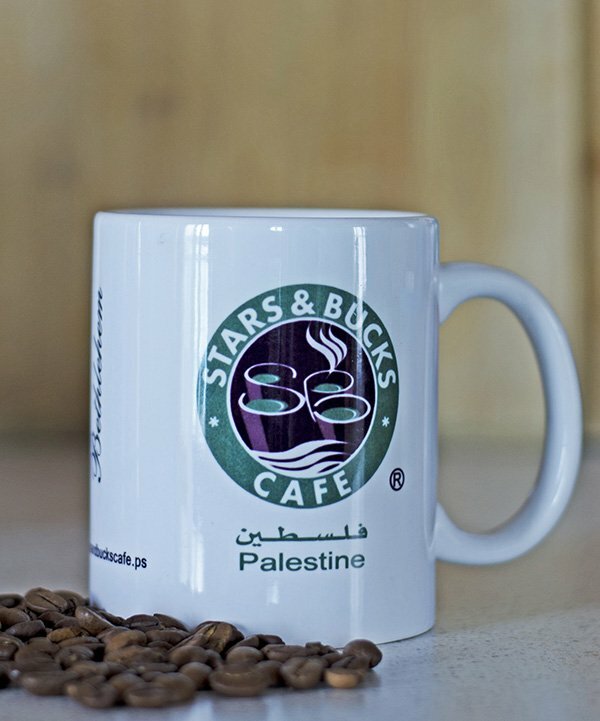 A great west bank souvenir from Palestine is a Stars and Bucks cup for the coffee lover in your life! Although not near Bethlehem, Dead Sea products are available to buy in Bethlehem. If you had the opporuntiy to visit the lowest point on earth and felt the mineral rich mud and thick waters, you can pick up soaps, lotions and muds at most souvenir shops in Bethlehem. The Black and White scarf is known as the Palestinian scarf, but only because of its formal dress. It doesnt matter if you see an Arab man wearing a black and white, or red and white (which is typically thought of to be Jordanian on account of the Jordanian formal dress), or green and black, they are a staple in the wardrobe of many. Supporting a struggling economy is one of the reasons I like to shop for souvenirs. I like to look for products that are helping the local economy (especially if you can find things that are locally made) as the economic benefits spread when you choose to spend your money here. Tourism is a huge industry for Palestine. 50% of those employed in Bethlehem work in an industry that supports tourism. And not just as tour guides or working in hotels or restaurants. They are creating beautiful handicrafts for people like us to bring home with us after visiting. Wondering how to visit Bethlehem? We visited with Abraham Tours on their Best of the West Bank Tour! 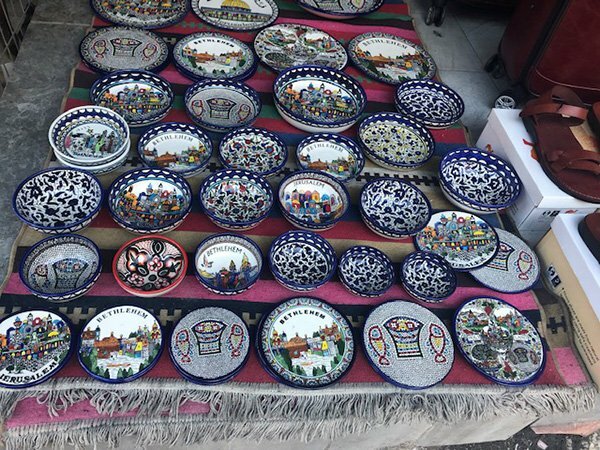 If you have time in Israel or in neighbouring Jordan, check out these posts: what to buy in Israel, the best souvenirs from Jordan!